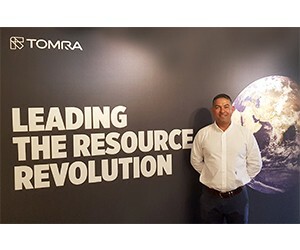 Following TOMRA Food’s successful participation in Propak Africa 2019, the leading exhibition for the packaging and processing exhibition, Norman Smith, TOMRA Food’s Area Sales Manager for South Africa shares the company’s plans for consolidating its position in the market. TOMRA Food designs and manufactures sensor-based sorting machines and integrated post-harvest solutions for a wide range of fresh and processed food applications, using the world’s most advanced grading, sorting, peeling and analytical technology. With a strong focus on Research & Development, its sensor-based sorting machines guarantee excellent quality and performance, which translate into greater productivity and more efficient use of resources. Norman Smith, TOMRA Food’s Area Sales Manager for South Africa explains: "TOMRA Food´s optical sensors boost our customers´ processing capacity while providing consistent high-quality food assurance. Sensor-based technology is capable of processing large volumes of food and helps to identify and reject foreign materials from the process. 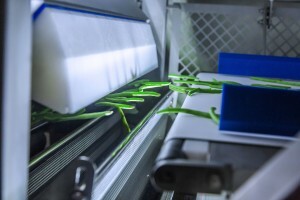 This increased accuracy and efficiency delivers obvious advantages: our technology reduces food waste to a minimum, increases benefits, and delivers significant time saving compared to manual sorting. TOMRA Food machines are the most efficient way of sorting products and a smart investment." TOMRA Food is a global leader in sensor-based sorting solutions with extensive international experience, running projects in more than 80 countries. The company has a well-established presence in the South African market, where it has been operating for more than 20 years, and is today the company’s main market on the African continent. “South Africa offers a world of opportunities. The mechanization and automatization of the post-harvest processes is well underway in the country, and the challenge is now to keep the momentum. 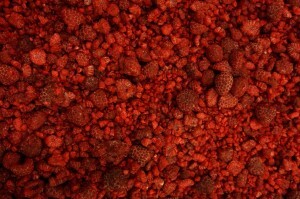 TOMRA Food’s advanced technology enables producers of fresh and processed foods to raise their quality levels. 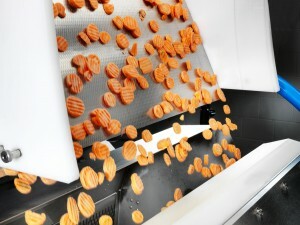 Its sensor-based sorting equipment can be used for a multitude of food applications, from fresh whole products to processed food. South Africa is spearheading the automatization process on the continent, and shows the benefits and the opportunities that machines such as TOMRA Food’s can bring to producers in other African countries,” adds Norman Smith. The consumer trend towards healthy eating is boosting the global demand for nuts, and South Africa is among the world’s biggest exporters. A recent boom in demand for macadamias has created new opportunities, which South Africa’s agriculture industry has taken up, with plantings having tripled in the years from 2013 to 2016 and industry projections forecasting a 40% increase of NIS by 2020. “For the South African producers to take full advantage of this growing market, a high processing capacity and product quality will be essential, and TOMRA Food offers the best equipment for them,” explains Norman Smith. TOMRA Food’s extensive product portfolio offers a specific solution for every application, from dried fruits and nuts, to vegetables, potato products and fruits. The Nimbus, Ixus and Helius sorting machines have become the first choice among dried fruits and nuts producers, while the Blizzard, Sentinell II, Genius, TOMRA 5A and TOMRA 5B are a reference in the vegetable and fruit processing sector. Each of these models has been developed for a specific type of product or application, and they all share the benefits that TOMRA Food brings to its customers: “With TOMRA Food’s technology, our customers can rely on the higher quality and purity of the product. This means that they get a better price for their products and more opportunities on the export markets, as they are able to meet their demanding requirements. This increases their profitability and the return on their investment,” explains Norman Smith. TOMRA Food supports its South African customers with a team of expert advisors and service engineers based at its Johannesburg local office: “At TOMRA Food we believe in being close to our customers. Our aspiration is to be a long-term, trusted business partner for them. The most important thing is to understand the customer and give them full value by identifying the best solution for their specific operation, supporting them throughout the installation and start-up process, and then making sure the equipment runs all the time and always delivers the best performance. No two operations are the same, and our team of experts is able to offer a highly personalized support, tailored to the specific requirements of each customer,” says Norman Smith. TOMRA will move to new office premises in May to accommodate the requirements of the business growth over the past years. “The move is an investment in our future and a way to add value to the business of our customers, not only with our industry-leading sorting equipment, but also with great service delivery to our customers. This includes spare parts logistics, technical service, training, product support, business advice and test work. It is with this long-term vision in mind, that we are truly looking forward to the move into our new premises,” adds Norman Smith. 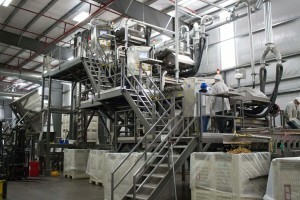 TOMRA Food’s pioneering work in designing and manufacturing sorters and graders of many different types and sizes, and its ability to combine different sorting technologies – color cameras, near infra-red (NIR), spectroscopy, and laser-detection – means that it offers unique technical solutions. The company’s success rests on three pillars: through technical leadership TOMRA enables dried fruit, vegetable, fruit and potato producers (amongst others) to improve accuracy, efficiency, and yields. To help brands establish food trust and safeguard their reputations, TOMRA enables food producers to ensure high standards in food quality, hygiene, and traceability. And through digital transformation, data analytics are optimizing machine efficiency, reducing operational costs, and assisting food traceability. “South Africa is an important market for TOMRA, and we will continue to invest in consolidating our position in this country, where we hold a leadership position in a number of segments. In the medium term, we aim to further extend our presence in new segments and new markets, bringing the benefits of our innovative technology to new customers,” concludes Norman Smith.